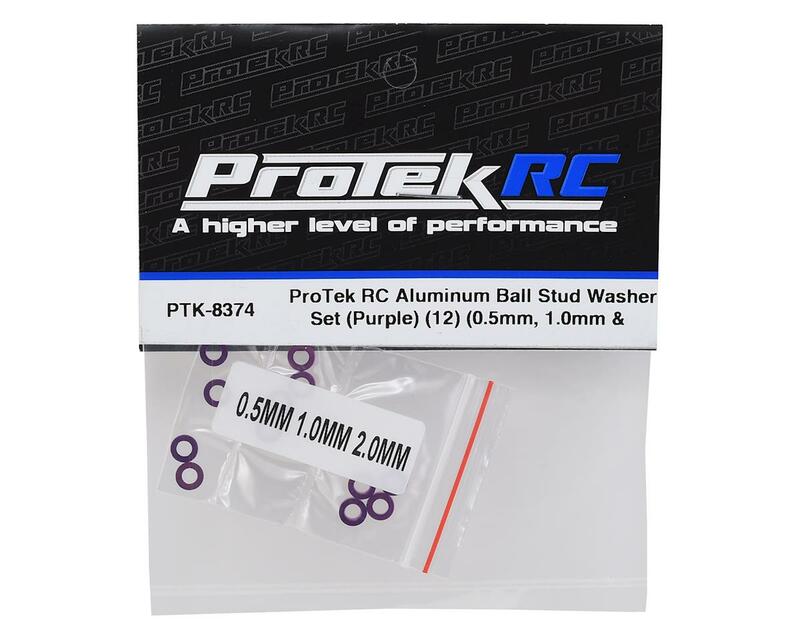 This ProTek R/C Aluminum Ball Stud Washer Set includes 3x5.5mm Purple anodized aluminum washers in the following thicknesses: 0.5mm, 1.0mm and 2.0mm. There are four washers included for each thickness, equaling twelve washers total. 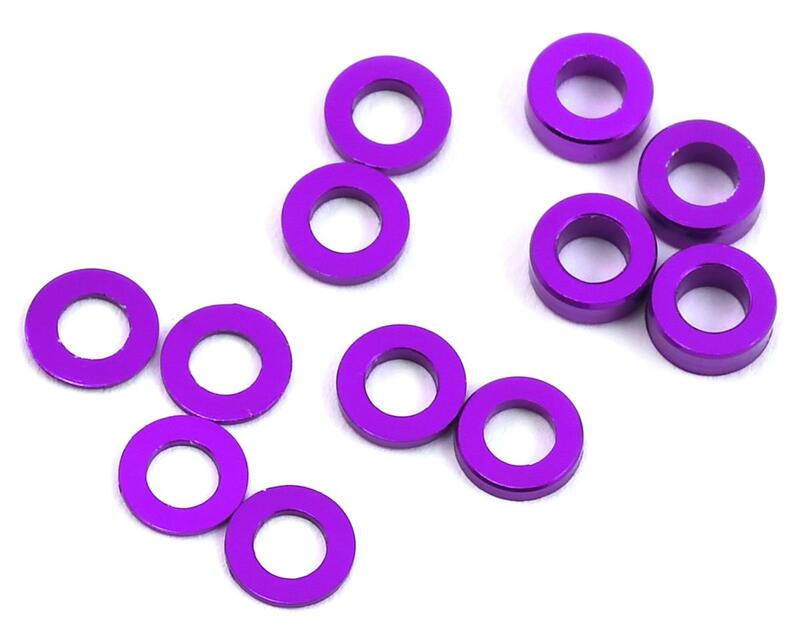 These aluminum washers are an essential upgrade over their plastic counterparts because they won't tweak or flatten under pressure. This makes them great for precisely adjusting the height of your ball studs when adjusting your roll center, adjusting your wheelbase and much more.